The U.S. Army will install upgrades into a target surveillance and acquisition system designed to boost target identification accuracy and protect scouts while searching for targets, Army Times reported Monday. 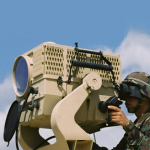 Army researchers are working to update the Long-Range Advanced Scout Surveillance System with a third-generation forward-looking infrared radar. The Raytheon-built LRAS3 is designed to give scouts the capacity to detect a target, zoom in and use a laser range finder to calculate the target’s distance and grid coordinates. Researchers also aim to install an inertia measuring device into LRAS3 to support target sighting from a concealed position. The upgrades are undergoing tests and are scheduled to be fielded by fiscal year 2025.